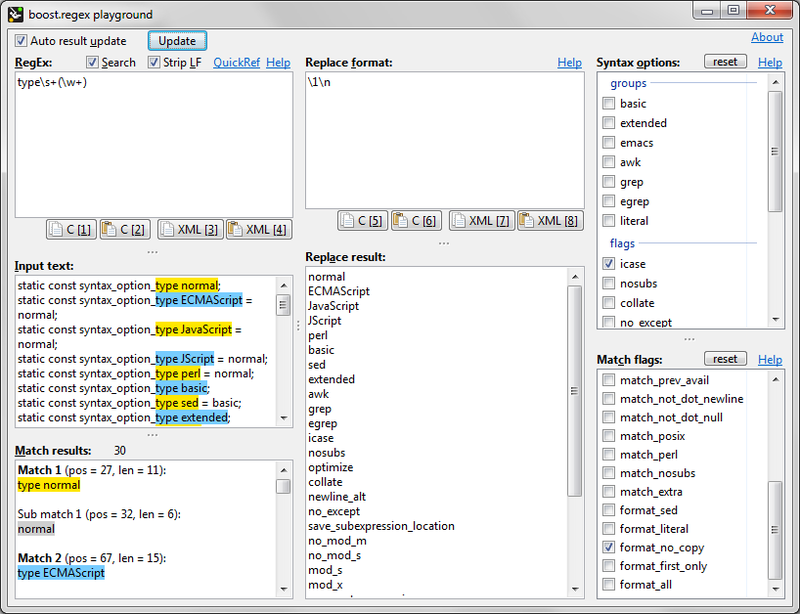 boost.regex playground is a little interactive tool for the Windows platform to develop and test regular expressions using the boost.regex library. Note that despite having “boost” in its name, this is not an official program of nor in any way related to the boost c++ libraries. The name is just used to make it easier for people to find this tool. 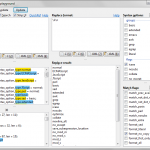 If you need a real search/replace utility, you should look for more sophisticated tools like grepWin. By downloading the program and/or source you agree to the above license. I can’t seem to download. Do you have a mirror?